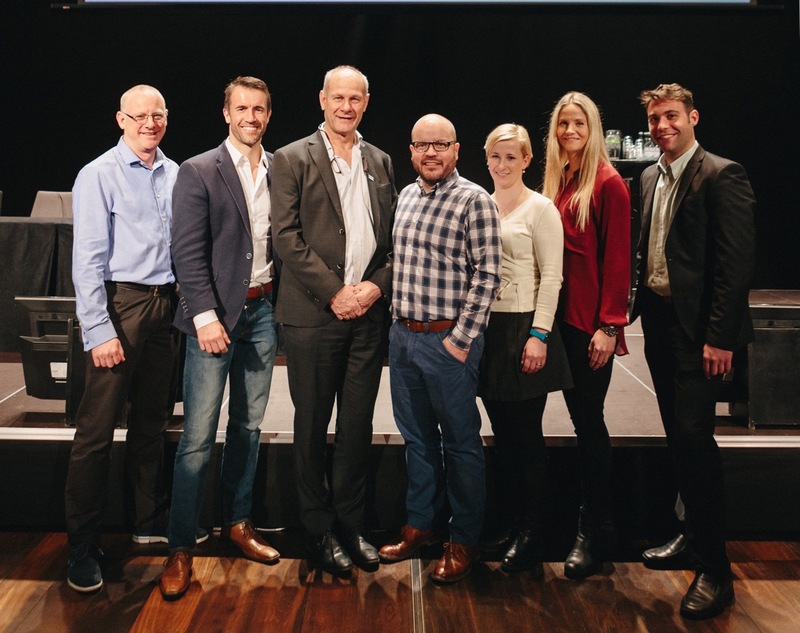 After being established by four physiotherapists this summer, the EAHAD Physiotherapists Committee became a complete group in Malmö, welcoming three new members representing the North, South and Central/Eastern regions of Europe. The full committee now includes: Paul McLaughlin, Ruth Elise Dybvik, Sébastien Lobet, Marie Katzerová, David Stephensen, Rubén Cuesta-Barriuso, and last but not least, the chair, Piet de Kleijn. So that you can get to know them better, we put them to the test and had them answer a few questions. Q1. Where do you work? Paul: The Katharine Dormandy Haemophilia centre at the Royal Free Hospital in London, UK. Sébastien: At the Cliniques Universitaires Saint Luc in Brussels, Belgium, both as a physiotherapist and a researcher. Rubén: Department of Physical Therapy at the European University of Madrid, Spain. Clinical physiotherapist at the Royal Victoria Eugenia Foundation. Piet: In the University Medical Centre Utrecht, the Netherlands, officially for the Dept of Rehabilitation, Nursing Science and Sports. All physios are located to work in parts of the hospital, mine is the Van Creveldkliniek, Center of Benign Hematology. Q2. How long have you been working with people with haemophilia and other bleeding disorders? Rubén: Started as a volunteer in 2004. Since 2008 as a professional. Piet: Since 1980 as back-up, since 1988 full responsible. Q3. What motivated you to work in this field? Paul: I was a musculoskeletal physio prior to being seconded into the post that looked after the haemophilia centre. I can honestly say that I had no motivation as such for working in the area at that time as I knew very little about it (haemophilia is not covered really at all in physio school). However, although I was only covering the post at that time on an ad-hoc basis, I quickly realized that I really enjoyed the work. The patients were great to work with, clinically the MSK issues associated with haemophilia were varied and interesting and I could see that there was a big role for a comprehensive physio service. I then worked on developing the post into a full time position – that I currently now do. Ruth Elise: An interesting and rare field of diagnosis with patients in large need of physiotherapy with potential to make the treatment offered to them better. Sébastien: The variety of the job. It encompasses the follow-up of a wide spectrum of patients: from children with good joint health to adults with a lot of arthropathies. My work is dedicated to care, research and management! Marie: It is interesting work with interesting people at every age. David: I was working on an orthopaedic ward and treated a person with haemophilia who had bilateral knee replacements. He was not very old and I thought afterwards that it must be better to try and prevent this joint damage before this stage. I then became involved in working with people with haemophilia. Rubén: The need for research in physical therapy and hemophilia, having hemophilia myself, and to help hemophilia patients with significant limitations due to arthropathy. Piet: It was a coincidence to get there at first. Possibilities to develop made me stay. Q4. Do you work with children, adults or both? Paul: Predominantly adults, but I do have an adolescent clinic once a week – this is probably considered a transition clinic for our young adults towards moving into the adult service in the centre. Marie: My main work is with children. I work with adult haemophiliacs in my free time. Rubén: Both, but mostly with young people and adults. Piet: Both. Officially I am licensed as an adult physiotherapist. Children are annually assessed by a children physiotherapist, in acute situations by me. Q5. Name one key paper or resource you think all physios working in haemophilia should read. Paul: Ooohhh good question! The WFH guidelines for a very broad overview – and maybe the textbook – Musculoskeletal Aspects of Haemophilia by Rodriguez Merchan and Goddard. Ruth Elise: The WFH Guidelines for the Management of Hemophilia by Srivastava et al. is basic. Besides that new research and Haemophilia journal is a useful resource. David: I think the 2007 Manco-Johnson paper comparing prophylaxis and episodic treatment not only reports evidence of the benefits of prophylaxis but also highlights that minimal bleeding can cause joint damage. I also suggest everyone reads April Fool’s Day by Bryce Courtney. His son had haemophilia and the book is a tribute to him. It makes you think about haemophilia from the patients’ and family perspective as well as showing that what is important to patients is often different to what is important to clinicians. Rubén: The physiotherapy guidelines which are set on the website of the World Federation of Hemophilia and musculoskeletal articles published in Haemophilia journal. Piet: Haemophilic arthropathy resembles degenerative rather than inflammatory joint disease by Roosendaal G, van Rinsum AC, Vianen ME, van den Berg HM, Lafeber FP, Bijlsma JW. Histopathology. 1999 Feb;34(2):144-53. Q6. What is a hot topic in haemophilia physiotherapy these days? Paul: The ankle is clearly continuing to be an issue even with good prophylaxis. As a therapist that works with older patients, I also feel that the issues surrounding chronic elbow arthritis and independent function are going to be key issues for many years to come. Ruth Elise: The use of Ultrasound to more accurately diagnose bleeds and arthropathy. Sébastien: The diagnosis and assessment of arthropathy, scientifically proving that physiotherapy is cost-effective and efficient, and recognising the specific competencies of physiotherapists working with people with haemophilia. Marie: Physiotherapy recently began to consider the human body as a whole so with haemophiliacs we should not care only for their joints separately. Physiotherapy should be a complex process and it should include therapy on neurophysiological base. David: Determining the best way of identifying early joint damage. Rubén: Evidence-based practice, and the safety and efficacy of our interventions of physiotherapy. Piet: Lack of effectiveness research on physiotherapy. Q7. What advice would you give to a physiotherapist who is just starting out? Paul: Do not panic! We have all been there, feeling out of our depth with the haematology side of things, and the initial complexity of the patients that we see in clinic every day. But it is a great area of medicine to work in and it is a rewarding one. Ask for help from those more experienced around you, and they will be more than willing to give advice. Ruth Elise: Read treatment guidelines, attend congresses and workshops, learn from experienced clinicians, be curious. Sébastien: Become a member of the EAHAD PT group! Attend the WFH and EAHAD congresses! Marie: Do not feel uneasy with haemophiliacs. It is crucial to have knowledge about the therapy and prophylaxis as well as to understand haemophiliacs’ needs for sports. New physiotherapists should try to find a solution for their physical activities. On the other hand, it is important to lead the haemophiliacs who are physically less active to increase their physical activity and accentuate the importance of it for their bodies. David: Every joint bleed has potential to cause irreversible joint damage; preventing joint bleeding is important. Rubén: Do not rush, take time to discuss with the patient before treating them and do not get tired of asking about the patient’s clinical and medical history in order to work safely. Piet: Seek contacts and back-up. Q8. What research is needed in the area of physiotherapy and bleeding disorders now or in the near future? Ruth Elise: Research to scientifically prove the efficacy and efficiency of physiotherapy to PWH and the cost-effectiveness of physiotherapy compared to factor replacement. Marie: I think, it is very important to know the haemophiliac’s health condition “everywhere”. I don’t know, maybe it’s done. But, we should do/arrange to do HJHS in every country at first, to know the situation. In addition, it would be nice to know “quality of life” as well. But it is a job for nurses or psychologist more, maybe. David: i) What clinical measures are best to detect early joint damage? ii) Are there any physiotherapy interventions that can slow or prevent the progression of joint damage? iii) Which patients are most susceptible to progressive joint damage? Rubén: Scientific demonstration of physiotherapy techniques and measuring instruments used. To validate scales and questionnaires of our specialty. Promote education of patients and knowledge of physicians, compared to physiotherapy. Create critical and constructive work with our group. Piet: Short term assessment tools to prove our physiotherapy effects, combined with cost-effectiveness in different life stages of the patients. Q9. What do you hope to achieve with the EAHAD Physiotherapists Committee? Ruth Elise: Among other things: Better communication and cooperation between physios working in the field, enhanced focus on the need and efficacy of physiotherapy, establishment of evidence-based practice guidelines and improved education of physiotherapists. Sébastien: To have a platform for European collaboration to be able to exchange with peers who are faced with the same types of patients and issues in order to exchange and learn from one another. To improve members’ professional knowledge, to establish and improve physiotherapy guidelines, to develop a network for physiotherapists, and to pinpoint the current status of physiotherapy practice in haemophilia care in Europe. Marie: It is crucial to unite the physiotherapists and that way allow physiotherapy to be equal for everyone throughout Europe. David: Increasing patients’ access to physiotherapy in Europe and ensuring they receive safe and effective physiotherapy treatment to maximize their musculoskeletal health. Rubén: Create a true network of professionals in Europe. Getting unified criteria of assessment, diagnosis, and treatment of physical therapy, and to advance research on these patients. Piet: To implement physiotherapy in children, in a most preventive way and adults to keep them participating longer in society.